After an excellent Sunday arriving in Florida and celebrating my mom's 80th (my folks' old friends who live down there know all kinds of great places and took us to Farlows on the Water where they had great food, and it was such a treat to eat outside in January - not enough light for my Optio WP and I don't like the flash much, so no pix, but it was really, really nice), on the 14th I picked up a rental car and ran off for a fun little day trip of my own. I'm a member of a kayaking group on FB called the Church of the Double-Bladed Paddle, which has over 27K members all over the world at this point, making it a fantastic resource for paddling suggestions when you're travelling. I wasn't sure how much time there would be for paddling fun on a family trip like this, but once I had the details I went ahead and posted on the group asking for recommendations. Fortunately a couple of my NYC paddling friends who have a place down there saw the post - I did know that they spent some of the winter in Florida but I didn't know where and it didn't occur to me that they might be nearby. Well, they were only about an hour north, and when they invited me up for a paddle on what turned out to be an unplanned day for my family, I was delighted to take them up on it. I had a fine drive up to Anna Maria Island, although I got there a little later than I'd planned because the GPS thought there was an exit where there was just a construction site, so I got sent on the scenic route, crossing the Manatee River twice, and that put me on the bridge to the island right at drawbridge opening time, but I did finally make it. Their place is great, it's in a waterside apartment complex; you go down the stairs from their apartment and walk through the building and there's a little bay in the back with kayak storage in a sheltered area under the building nearby. I think Peter said it was originally bikes, but it was right by the bay and there was enough interest in hand-launched boats among the residents that the bikes (or whatever it was) got moved and a boat rack was put in. Peter and Valerie are both enthusiatic kayakers, so they love this arrangement. It was a bit on the breezy side, and Valerie had some work to do, so she let me use her boat, and Peter took me out for my first paddle of the year. It's so funny, I was so happy about getting to visit them down there, and so blown away by the area, and how great their setup was, and the amazing bird dramas (keep reading!) out there that the fact that this was my first paddle of 2019 didn't even occur to me until I was back in NYC. Usually I would've kicked things off on January 1st at Sebago, but TQ and I called off the New Year's Day paddle due to winds higher than we thought it would be wise to tackle in the wintertime. I do have to admit that it was really nice to start of the paddling year in a shorty wetsuit instead of a drysuit. And the area and the birds, as I said, were lovely. You leave the bay through a little mangrove-lined channel under a bridge, with a completely fearless great blue heron standing guard (they're pretty skittish when you see them in Jamaica Bay and when TQ and I did that canal trip in a Nimble Nomad year before last, my attempts to get the perfect heron shot got to be a bit of a running joke between us) and then all the sudden the water just opens out ahead of you and there was a whole flock of ibises along the shoreline. Valerie walked out onto the pier that residents can use to get out to see the bay to see us off. It wasn't the longest paddle, 3 miles if that, but it was so nice to be out on blue water in the sun and I did get a nice look at the area -- we headed east first, crossing the channel a little ways south of the bridge I'd used to get to the island, then we turned and headed northwest back across the channel, into the wind, and then just about the same time I was thinking it might be getting time that we should turn south to get back to Valerie and see about some lunch (I was working up a pretty good appetite paddling into the wind) Peter suggested the same thing, so we did. The birds continued to be amazing - sorry I wasn't able to get any good photos but I do have to talk about 'em a little bit. I always look forward to seeing the ospreys return to Jamaica Bay in the spring, but there were plenty here and they looked like they were thoroughly enjoying their southern sojourn. 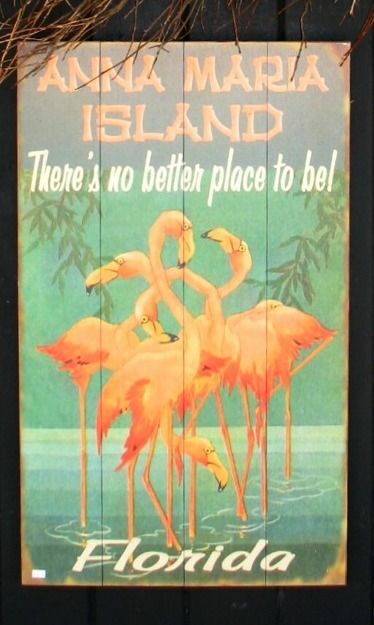 Oh, except for maybe the pelicans! There were plenty of fish around and we watched two ospreys catch fish, one right after the other, then a couple of white pelicans came flying in. I thought they'd seen the ospreys catching fish and were coming to come catch some of their own, pelicans being master fishermen themselves, but oh, no, that wasn't their plan at all - their idea was that they were going to let the osprey do the work and then hassle the smaller bird into dropping its catch! I had no idea pelicans did that and it was fascinating to watch. We watched two attempts. The ospreys hover above the water for a moment when they spot a fish, then dive on it, going in feet-first with enough force to disappear from view. When they surface, there's a pause, then they flap very hard to lift themself and their fish (and I think on this paddle, every time an osprey stooped, it came up with a fish). When they first get airborne, the fish was held sideways, at right angles to the osprey's flight path, and then the osprey shifts the fish around so that it's facing forward so that there's less wind resistance during the flight back to the perch. Well, the pelicans were just waiting for that moment when the osprey was coming up from the water, getting airborne, and sorting out the direction of the fish - the osprey would be momentarily slow and unwieldy for those moments and the much larger pelican would just fly right up to them. Even with all of this going on, the osprey can still turn faster than the pelican, but the minute they both straighten out from the turn, the pelican can catch up again in an instant. One of the two ospreys managed to get its fish turned around and into the proper carry for flying and then was able to pick up enough speed to pull away - the other one, the pelicans were harassing it from the instant it was airborne again, and after a couple of evasion attempts, the osprey fumbled the fish and the pelicans went right down after it. Bummer for the osprey but absolutely fascinating to watch! We also saw a young bald eagle - the photo below that looks like a photo of phone poles below is actually of the eagle, perched on the pole on the right of the picture (as usual, clicking on a picture gives a better view). Peter mentioned that there would usually be dolphins, but there'd been some cold weather and they had places they liked to go when it got chilly. No manatees either, even though this was Manatee County and I'd crossed the Manatee River twice and then followed Manatee Avenue to Anna Maria Island, but I did enjoy seeing "SLOW SPEED MANATEE ZONE" signs out on the water! Peter was an excellent tour guide, with lots of good stories and information, and Valerie joined in with more when we got back to their place to clean up and change. Catching up continued over lunch at the Drydock Restaurant. It was a little too breezy for outdoor seating to be appealing, but they had a beautiful collection of small wooden boats hanging from the entryway ceiling, a dining room with an amazing view, more pelicans hanging out on the dock outside, and really yummy grouper tacos. Great catching up with them and seeing how nice wintering in Florida can be! All pix after this - click for a slideshow view (especially for the eagle). Wow, I didn’t know pelicans were so nasty. I'm currently reading a book about sea birds, and it describes some real psychos e.g. cannibal mob monsters, so not surprised about those pelicans! I knew about bald eagles and frigate birds doing that but not pelicans. Actually Peter and Valerie have been paddling there for a while and he was surprised to see that too. I guess it's pretty common for even nonhuman animals to let somebody else do the work if they can get away with it. Cannibal mob monsters? YIKES! What's that book? I love visiting Florida in the winter, for me it's rejuvenating. I go to Marco Island, which is a bald eagle sanctuary. Love sitting on the deck of my favorite restaurant watching for manatees. Looks like you've had as great a time as I do.